For our second episode of Hyperspace Theories, Megan Crouse joins Tricia, B.J., and Kay for our storytelling and speculation discussion. What remains unclear to fans at this point is the extent to which Lucas’ ideas remain at the core of Episode VII’s story. The first script for Episode VII was written by Michael Arndt from a treatment by George Lucas. In October 2013, Lucasfilm announced J.J. Abrams and Lawrence Kasdan as the film’s new screenwriters. Some indications point to a continuing strong influence of the first draft in the new script, but other rumors raise doubts. Among the rumors floating around the internet about Episode VII are those based on a set of about two dozen concept art images from the movie leaked by someone with access to the production. We talk about two of those pieces through the lens of storytelling: the art with character designs for Chewbacca, which reveals that the storytellers were considering several different possible angles for his Episode VII appearance, and another image showing several characters and a single illuminated lightsaber, which is open to a variety of interpretations about its meaning. For fans who want to really dig into rumors, we recommend Club Jade, where the word on the street is always up to date, filtered through a reasonable lens and peppered with just enough snark to maintain perspective. This episode’s Hyperspace Calculations segment on world-building considers another necessary choice the Star Wars storytellers must have made: the politics of the Star Wars galaxy thirty years after ROTJ. Here we primarily speculate, because so little has been rumored from the film so far. A number of possibilities exist, including a strong central government, a weak central government, a cold war between powerful rivals, or a fragmented political structure with no dominant faction. One possible clue, perhaps, comes from remarks by longtime Star Wars concept artists Doug Chiang and Ian McCaig at Celebration Europe in July 2013. They analogized their work on Episode VII to Europe’s “dark ages” after the fall of the Roman Empire. Although we’ve seen no official confirmation of this description, it does line up with many of the existing rumors. One of the exciting possibilities for Episode VII is to connect themes and ideas from both the Original and Prequel Trilogies. For our Storytelling segment, we consider Star Wars Rebels as a first look at how Lucasfilm is approaching that dynamic. 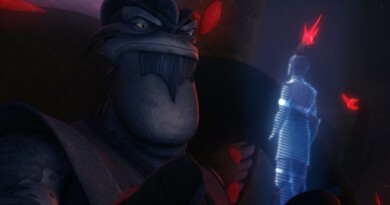 At the same time, Rebels also challenges our expectations, such as using Kanan to show that not all of the Jedi were wiped out in Order 66. 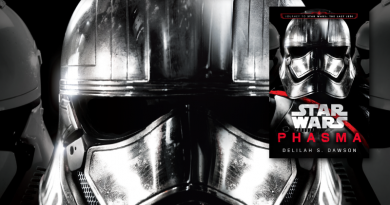 As usual, we conclude with our Plot Bunny Giveaway, also featuring Rebels. You can follow Megan Crouse on Twitter and at her blog This Blog Is Full of Words.